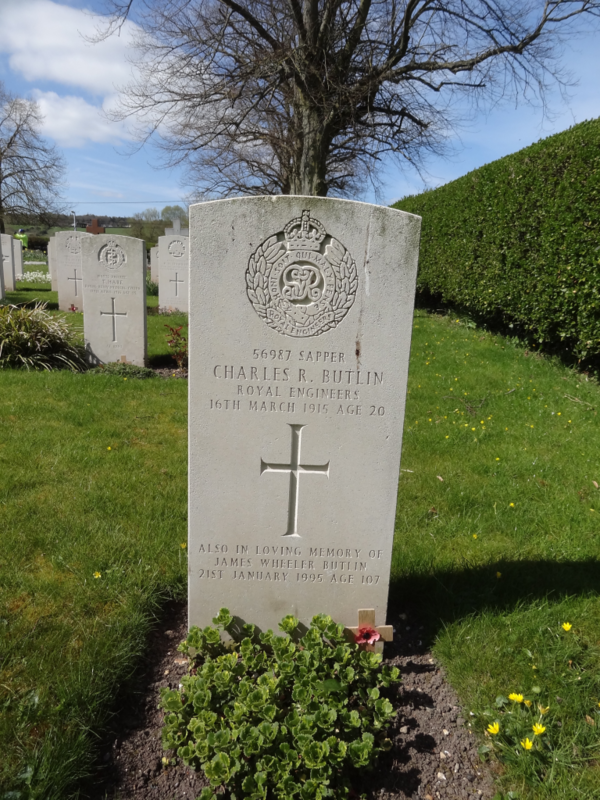 The ‘R’ in Charles R. Butlin stands for Reginald, and he and James were sons of George and Ellen Butlin, of Sandridge, St. Albans, Herts. Charles was a member of the 108th Field Company, and was stationed at Sutton Veny when he died of Cerebro Spinal Fever at the Isolation Hospital, Stratford-sub-Castle. Salisbury Isolation Hospital at Stratford-sub-castle was built in 1911 and stayed a hospital until 1951. It was situated on The Portway close to Old Sarum Airfield. James Wheeler Butlin had been a sergeant in the Army Pay Corps during WWI, his regimental number was 2143. For more details about those buried in the St Lawrence Churchyard, you can visit the parish website here, or (including images of original documents) the Commonwealth War Grave Commission here. To search for a Commonwealth War Grave click here.